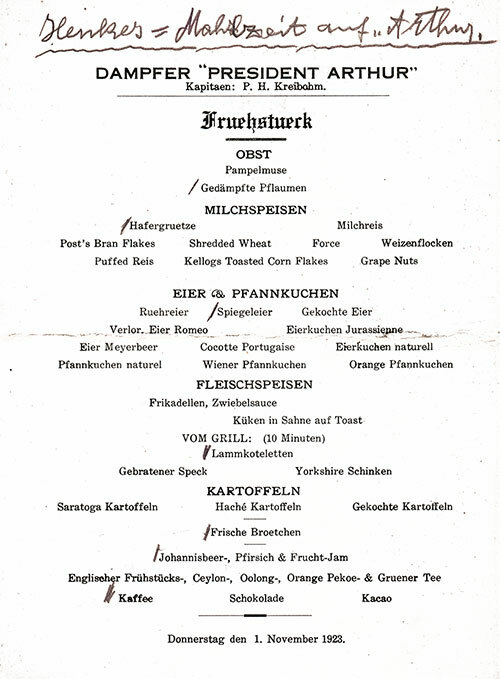 Vintage Breakfast Menu from Thursday, 1 November 1923 onboard the SS President Arthur featured Omelette à la Jurassienne, Shirred Eggs Meyerbeer, and Fricandelles, Onion Sauce in addition to tradational American fare. 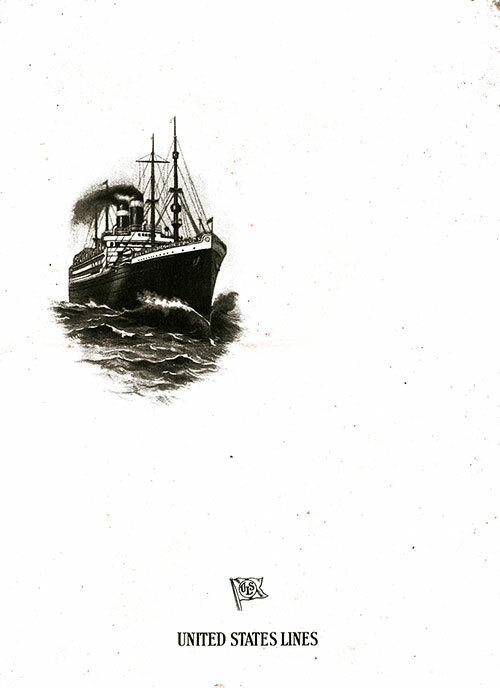 S. S. " PRESIDENT ARTHUR "
Note 1: Force, first produced in 1901 by Force Food Company, one of three American companies owned by Edward Ellsworth and advertised using a popular cartoon figure called Sunny Jim, was the first commercially successful wheat flake cereal. 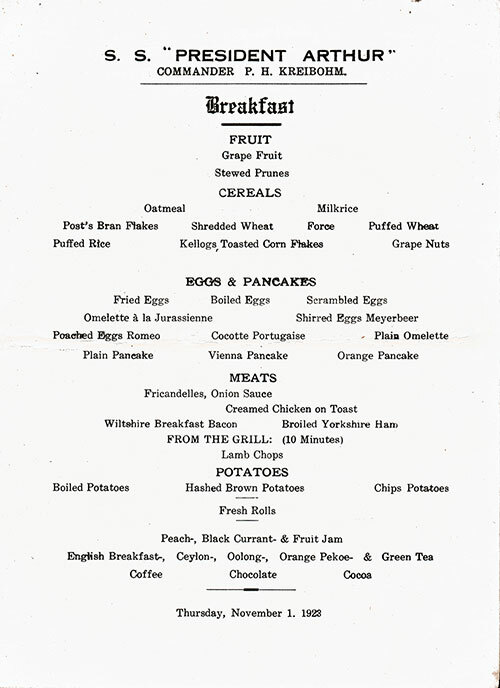 Prior to this, the only successful wheat-based cereal products had been Shredded Wheat and the hot semolina cereal, Cream of Wheat. The product was cheap to produce and kept well on store shelves.